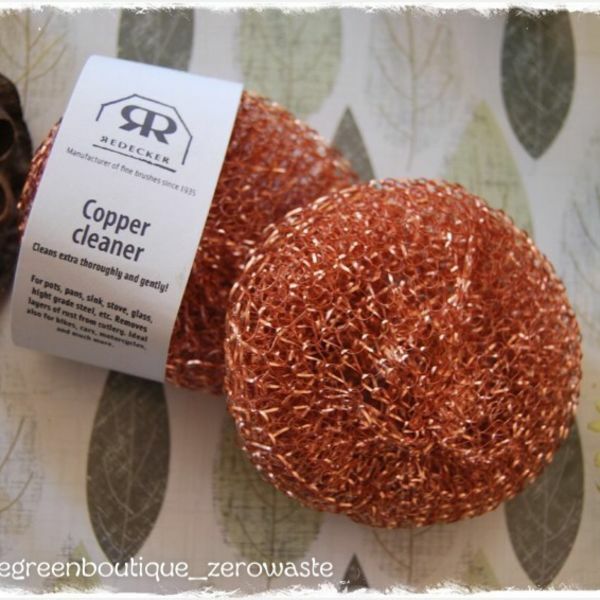 This useful copper - set of two - scourer easily cleans pots, pans, sinks, ovens, ceramic cooktops, glass, stainless steel and more. While being extremely tough, it is also very gentle on delicate surfaces thanks to the soft, non-abrasive nature of copper, leaving, when used in wet condition, no scratches on enamel or ceramic worktops. This pad will remove rust from cutlery and is perfect for cleaning and polishing glass, chrome and aluminium rims on cars, bicycles and motorbikes. 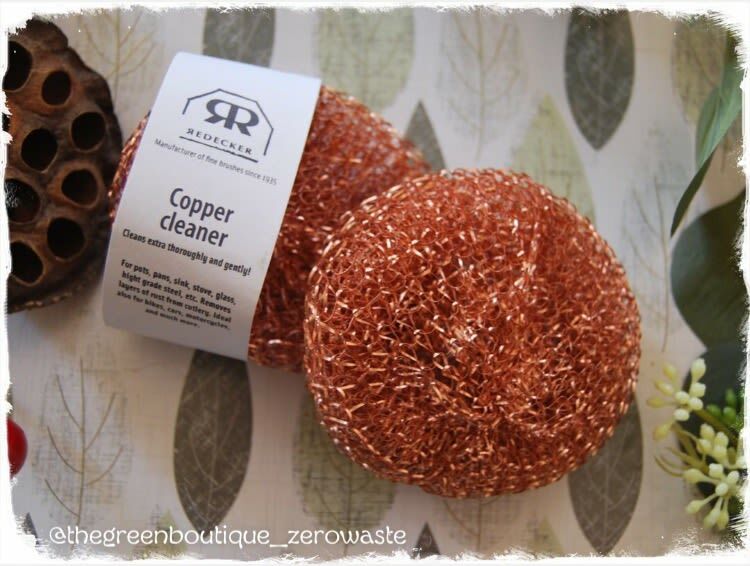 The beautiful copper threads loosen even the most stubborn dirt carefully and should always be used wet, ideally with warm, soapy water. Not suitable for Teflon or other non-stick surfaces. Made from extremely durable, two-ply copper, it is machine-washable in warm water (up to 60?) - please place in a net bag or sock before washing. Redeker is a German company with over 80 years of experience in brush making. The founder Friedel Redecker earned his living as a brushmaker because he went blind as a child. The first handcrafted Redecker brushes were produced in 1935. A lot has changed since then, but today, the family-owned business continues to work using traditional methods and natural materials sourced from across the globe. The name Redecker stands for an ideal combination of natural quality, function, and design. Most of their collection is manufactured at the Redecker workshops, although some items require specialist manufacturing processes in other parts of the world.